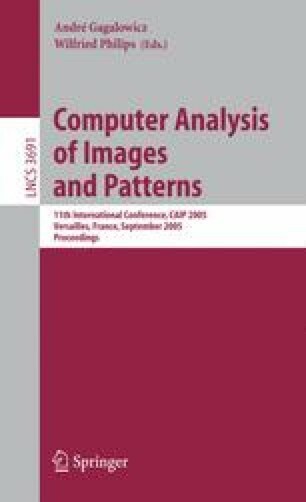 This paper presents a technique for texture segmentation in images. Providing a small template of a texture of interest results in the image being segmented into regions with similar properties and background (non-similar) regions. The core of the segmentation engine is based on the minimal cut/maximal flow algorithm in the graph representing an image. The main contribution lies in incorporating the template information (colour, texture) into the whole graph used for segmentation. The method brings the possibility to locate textured regions in the image having same property as the template patch and not only one-colored regions (as in much existing work). The method is supervised since the user provides a representative template of an object being searched for. The object may consist of several isolated parts. Experimental results are presented on some images from the Berkeley database.